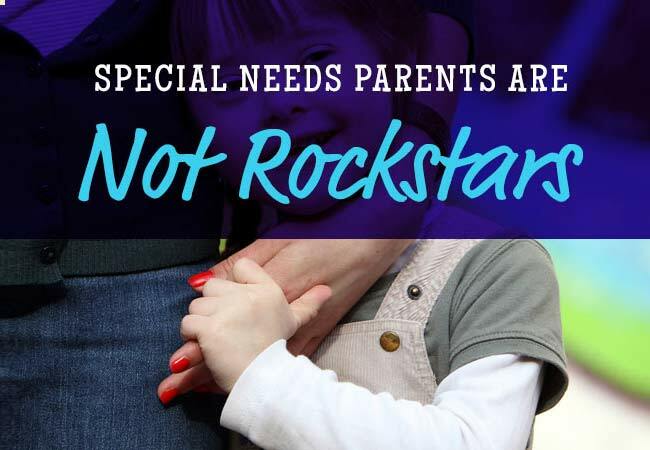 Think Special-Needs Parents Are Rock Stars? This Mom Wants You to Think Again. My husband and I hear this a lot. Moreso the last couple of weeks as we’ve dealt with back-to-back trips to the emergency room. And we’re always completely perplexed. I mean, I get it. I get what people are trying to say. I appreciate the sweet intentions behind the comments. I understand that it’s a form of support. So, please hear my heart as I continue to type. Similarly, blog comments, instagram comments and sweet tweets all echo the same sentiments. “You are amazing!” “You are so strong!” and the like. I am not amazing. I am not strong. I have no super powers. And no, I’m not even a rockstar. And my husband is a dad. And together, we do the same. exact. thing. that any of you would do if it were your child. We don’t love our children more than anyone else loves their child. We weren’t born with extra powers or more patience or chutzpah any other such thing. And you know what? I don’t think God gave us a child with extra needs because we are somehow better equipped than the average person. We are simply parents. Parents who parent the children we’ve been given. I am a mom … and with that comes a responsibility to mother, and care for, and nurture. Each child has different needs, personalities and soft spots. It’s really no different. I wipe snotty noses, I make sandwiches, I read bedtime stories, I detangle tresses, I yell, I give time outs, I hide in the bathroom to have quiet time and I chauffer. I also happen to administer rescue meds. I call 911. I ride shotgun in an ambulance. I have a whole different vocabulary stored in my brain. I know where to serve myself iced water in the emergency room I have a list of doctors in my cell phone contacts. But really … what else can I do? Would it be comprehensible for me to refuse to dial for help? To say I’m too squeamish to administer Valium rectally? To sit in a corner and sob instead of advocate for my child and give doctors answers to their questions about her history? I don’t have a choice. Because I am a mother Simply. Wholly. Fully. Just a mom. There is nothing special about me. I am not amazing. I am not anything more. Just like you are. Just like your mom is to you. Because what is my other option? My only other option is to refuse to mother my sweet girl … and if I refused she would die. Yes. I just typed that. Because that’s the alternative. So really, it’s no alternative at all. So in the same way I try to make sure my kids eat their veggies before their Cheetos … I mother my children in whichever way they happen to need it. I know it sounds crazy to you, and likely overwhelming … but I promise you with all of my heart: You would do the same. And you would do it beautifully. You would do it expertly. You would do it seamlessly. You would do it gracefully. Because that’s just what moms do. Not special-needs moms. Not epilepsy moms. It’s how we’re wired. We do. We love. Even when it’s unexpected. Especially when it’s unexpected. I suppose I could be bitter about it all. I will admit to wondering sometimes what it would be like to only go to the doctor for well-baby checks. It would certainly be nice to only go to the ER because someone fell out of a tree and broke a leg. Because bitterness implies an unthankful heart. Bitterness suggests not seeing the beauty of what you have been given. Bitterness means ignoring God’s grace and God’s strength. Not mine. Not my husband’s. 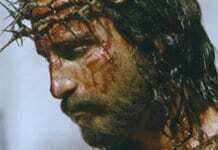 But His and His alone. And maybe this is just what I needed. To be at a point where I cannot rely on my own strength. To be at a place where relying on myself would be foolish and catastrophic. Bitterness would leave my girl believing she was a burden rather than the sweetest little blonde blessing in our lives. I never, ever, ever want her to feel guilt or that I ever wished she was different. I love her just the way she is. She is perfect. Perfect. But hear me when I say this: You would do it too. You’d find a way to make it work. You’d have to. And it’d be OK.
It’d be more than OK.
Because life isn’t always pretty … but it sure is beautiful. Next articleI Want to Sing This Hilarious Mom Anthem Over and Over. Especially While Hiding From My Kids in the Bathroom With a Pint of Ice Cream.